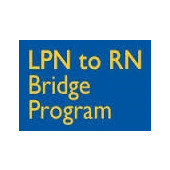 An LPN-to-RN bridge program is a unique program designed specifically for licensed practical nurses (LPNs) that would like to advance their careers. It allows LPNs to earn an associate’s degree in nursing (ADN) – either an associate of science in nursing (ASN) or an associate of applied science in nursing (AAS) – in order to transition into the role of registered nurse (RN). The bridge program builds upon the LPN’s existing knowledge with an advanced curriculum, including a higher-level general education core and nursing coursework. The core curriculum covers microbiology, human anatomy, physiology, nutrition, and human development. Specialized nursing coursework includes nursing theory and practice, maternal-child nursing, adult health, psychiatric nursing, pharmacology, and nursing leadership. All programs also include supervised clinical experience. LPN-to-RN bridge programs are offered at community colleges, vocational schools, and some four-year universities. They typically require one to two years of study. Prospective enrollees must have a degree or certificate from an accredited LPN program, maintain a current LPN license, and hold a minimum number of clinical hours as determined by the state’s board of nursing. Students may also have to pass background, health, and safety checks. Assessment tests, an entrance exam, and drug screening may be required as well. Tuition costs will vary significantly based on the type of school, length of program, region of the country, and residency status. An LPN-to-RN bridge program could cost under $10,000 in tuition (e.g., for local residents at a community college) or over $25,000 (e.g., at a private college). Fortunately, no matter how big or small, the investment will pay off. There are more than 2.7 million registered nurses in the country, and they are among the highest-paid healthcare professionals in the medical field. RN salaries range from $54,000 to $80,000 per year depending upon region of the country, tenure, job performance, and level of education. The road to a successful RN career begins with a nursing degree from a high-quality school. Browse our website’s directory to find the best LPN-to-RN bridge programs in your local area.